We are one of the major manufacturer and exporter in detergent chemicals, detergent raw materials, soaps chemicals etc. “Quality” is our signature. Providing our valuable customers the best quality chemicals at affordable cost and in time is the major factor behind our success and long service in this field. Color MONSTRAL BLUE, DEEP GREEN, LEAF GREEN, BRILLIANT YELLOW, LAVENDER, ORANGE, RED, BLACK, ETC. Unilex pigment paste widely used for the colouration of laundry, medicated and other soaps. 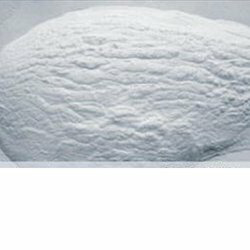 We supply a premium range of Sodium Carboxy Methyl Cellulose to our customers. Sodium Carboxy Methyl Cellulose is an anionic water soluble polymer derived from cellulose. It is odourless, tasteless and nontoxic.It is widely used in Soaps & Detergent industries. One of the most valuable properties of CMC is its ability to prevent re-deposition of soil onto the fabric that has been removed by detergents during washing or scouring. It also makes the fabric whiter and brighter. In soaps and detergent cakes, it improves extrusion, transparency soft texture, solubility, suppleness, imparts better binding etc. 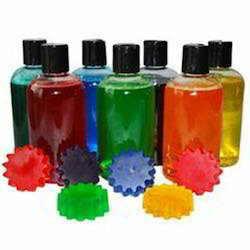 A broad array of soap and detergent fragrances is manufactured, supplied and exported by our organization which is widely utilized in soaps, detergents and liquid soaps. Using pure chemicals these fragrances are made which offer mild essence. Our extensive range includes fragrance such as lime, lavender, lemon, rose, etc. The colorful speckle is mainly used to improve a visual effect and work in coordination with detergent powder. It can be added into detergent powder directly. 1. STPP is widely used in regular and compact laundry detergents and automatic dish washing detergents (in powder, liquid, gel and/or tablet form), toilet cleaners, surface cleaners, and coffee urn cleaners. It also provides a number of chemical functions including: sequestration of "water hardness", enabling surfactants to function effectively; pH buffering; dirt emulsification and prevention of deposition; hydrolysis of grease; and dissolving-dispersing dirt particles. 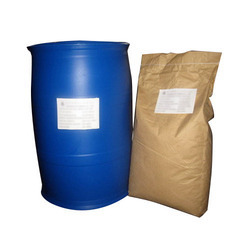 We are among the pioneers in the industry, offering Butylated Hydroxytoluene. It is used as a preservative to Protect against natural effects of product aging (for example, decay, discoloration, oxidation and bacterial attack). Preservatives are used to forestall the natural tendency to develop rancidity and oxidize upon aging. We offer talc filler/detergent grade for the soap and detergent industry. Talc can reduce soap production costs without diminishing soap performance. 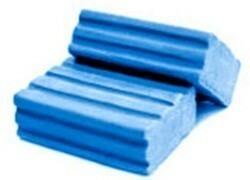 It can also enhance soap performance, by producing a creamier lather and softer skin feel. 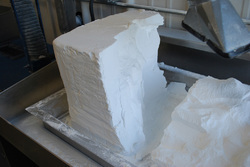 Talc acts as a binding agent and gives hardness to the soap cake. 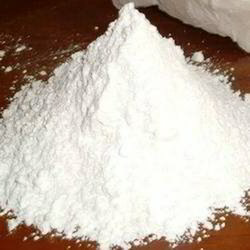 Being odorless Talc is used in Talcum Powder & High Grade Soap. Talc is mainly used as filler. The consumption of talc in soap varies between 5 to 40% depending on the quality and type of soap. Our Talc grade being inert and harmless to skin, it is cost effective filler for detergents. Being odorless is used in detergents & washing powder. We offer this optical brightener which has a high molecular weight. Tinopal Cbsx optical brighteners give a bright neutral white shade to cellulosic and synthetic fabrics, even after repeated washes in high or low washing temperature. They are lightfast, chlorine stable and highly soluble. Tinopal Cbsx is sold in the form of free-flowing granules, a stable aqueous low-viscous dispersion or a clear solution, meeting all formulation needs.Tinopal CBS-X is a fluorescent whitening agent which absorbs UV-light and re-emits it as visible blue fluorescence light, thereby increasing the whiteness of a substrate. 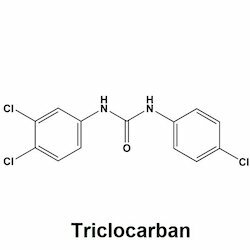 Triclocarban widely applied in daily accessories, such as soap, shampoo, showering detergent, hand cleaning detergent, cosmetics, laundry detergent, shaving foam, tooth paste, anti-bacteria food utensil cleaning agent, disinfection agent of pharmacy, textile, hircismus and beriberi treatment products, as germicide and deodorant. 1. Triclosan , similar in its uses and mechanism of action to, is an antibacterial and antifungal agent found in some consumer products, including toothpaste, soap, detergent, toys, and surgical cleaning treatments. This Organic Compound is a white powdered solid with a slight aromatic, phenolic odor. Categorized as a polychloro phenoxy phenol, triclosan is a chlorinated aromatic compound that has a functional group representative of both ethers and phenols. Phenols often demonstrate antibacterial properties. Triclosan is soluble in ethanol, methanol, Diethyl ether, and strongly basic solutions such as a 1M Sodium Hydroxide Solution, but only slightly soluble in water. 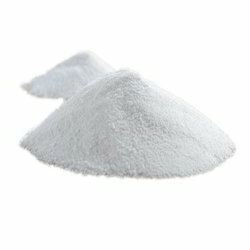 In order to meet the rising demands of the soap and detergent industry, we offer EDTA Tetrasodium Salt. 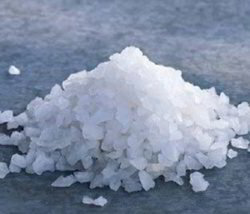 EDTA Tetrasodium Salt is a chelating agent with wide ranging ability to sequester various polyvalent cations. EDTA is used to minimize metal ion contaminants, and to facilitate enzymatic reactions that could be inhibited by heavy metal traces. 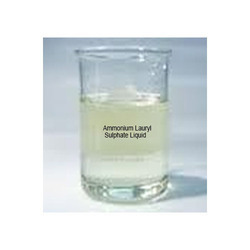 Sodium Lauryl Sulphate which is widely used in manufacturing shampoo, formulation of wetting agent in textile industry and fire fighting foams. SLS or sodium lauryl sulphate powder is very useful in the production of a wide range of personal care products. These chemicals are primarily used as emulsifier, surfactant, dispersant, foamer and wetting agent in the industries of cleaning and personal care. Suitable for those personal care applications that require foam characteristics and viscosity building, SLS powder is specially used for pearlescent, opaque or cream products. Triethanolamine Lauryl Sulphate, which finds ample application in manufacturing baby shampoos, bubble bath and in pigments as emulsifier. 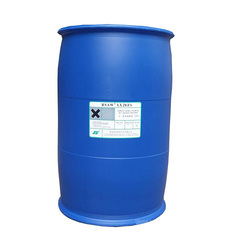 It is widely used in liquid detergent, high-grade shampoo, gel and weak acid shampoo and bubble bath etc.. 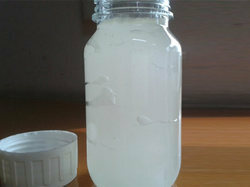 It is also used in glass cleanser, wall detergent, automobile detergent and hard surface cleanser. ALS is classified as an alkyl sulfate and is an anionic surfactant found primarily in shampoos and body-wash as a foaming agent. CDEA uses include viscosity builder and foam booster for soapy material. The product is a non-ionic surfactant and is popular for its features of outstanding solvency and cleansing rate. It is added in hand washing soaps and shampoos, for its properties of stabilizing foams and thickening the liquid. CDEA is also very beneficial in minimizing irritation to skin. Outstanding performances of anti-hard water, antistatic, decontamination, dispersion, and wetting. Par excellence properties of derusting, foam-stablizing, foaming, and thickening. Can be compounded with anionic surfactants to increase the foaming ability. The resultant foam is more stable, affluent, which increases the washing effect as well. 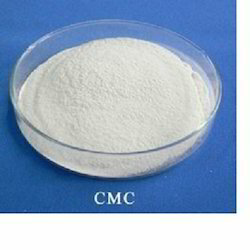 CMEA is a non ionic surfactant of non-crystalline material. It is beneficial for shampoo, shaving creams and liquid soaps formulations. It can also be used as stabilizer and foam booster.